Famed chocolate tycoon, William "Willy" Wonka has died at the age of 76. Know for his eccentric life as portrayed in books and films, Mr. Wonka captured the imagination of millions of children. His wacky way of managing business, often employing illegal immigrants for slave wages, earned him a lot of heat back in the 80's. In his later years Mr. Wonka was diagnosed as having dementia, a condition that he'd been living with for some time. In accordance with his wishes, Mr. Wonka will be dipped in chocolate and served at the wake. After what seemed like a whirlwind of a life, the joke has finally died. At approximately 2:13 pm last Saturday, it was determined that an unknown person's attempt at humor by suggesting that a large man with buck teeth and a receding hairline, was in fact bringing 'sexyback' had officially killed the joke. It is survived by it's creators Justin Timberlake, Timbaland, and Nate "Danja" Hills. After decades of always having 'room for Jell-O' Mr. Scott Deverowe announced yesterday that he was "too full" to a shocked house. His children, Betsy and Michael Deverowe, upon hearing the news alerted the media. In a statement, Mr Deverowe offered some somber words, reflecting on the past and pointing to a future he hopes to see filled with non-Jell-O related desserts. Despite what the song may say, Paul is not dead. 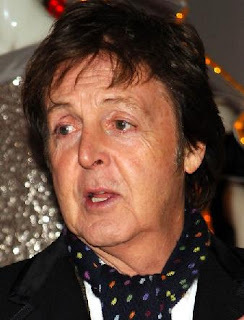 One of two surviving members of the Beatles, Sir Paul McCartney is alive at the age of 68. For several decades Sir Paul McCartney has survived by draining younger members of his band of their life energy. His reason of course, is the legendary Beatles tontine of which he and Ringo Starr are a part of. Legends abound as to what is contained within the mysterious vault that houses said tontine. Who will get the coveted prize? A world watches. It was so weird when there were rumors that Paul was dead. Ha ha!